We started to look into food dehydrators when we inherited a garden from our home’s previous owners. It’s great to have a garden, but if yours is anything like ours, you will soon be overloaded with more fruits and veggies than you know what to do with. Over the course of our research we came across the Nesco FD-1040. The American made Nesco FD-1040 is a 1000-watt food dehydrator. 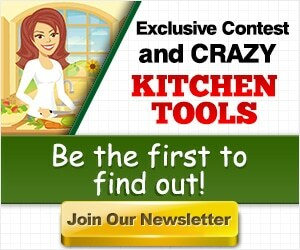 It’s a powerful, entry level device that helps lots of people create delicious homemade healthy snacks. This is perfect if you have finicky eaters, or are looking for a convenient way to get your kids to eat more fruits and veggies. What attracted us to the Nesco FD-1040 was the price, timer, user reviews and size. A food dehydrator is a good way to cut down on your kitchen food waste and make healthy and tasty snacks. You can make delicious fruit leather (tell those store bought fruit roll-ups to take a hike), fruit and veggie chips and of course jerky. You can also use it to dry herbs and nuts (refer to your manual for nut preparation). We did the research. Below, read our Nesco FD-1040 Gardenmaster food dehydrator review. 1000 watts means that you can create more delicious and healthful snacks at a faster rate. The Nesco FD-1040 is efficient. Instead of days to make your favorite dried foods, the Nesco FD-1040 takes just hours. A 2400-rpm motor powers a 4.5 inch fan. Not all dehydrators have a fan. This added feature results in drying times that are up to 4 times faster than dehydrators that don’t have a fan. 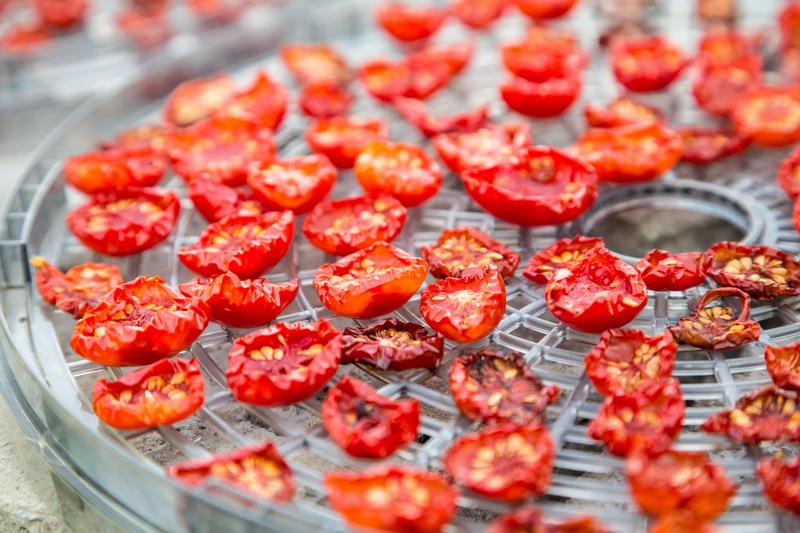 Yes, there are cheaper dehydrators that don’t even come with a fan. The fan is top mounted. Cheaper food dehydrators have fans that are bottom mounted. The problem with bottom mounted fans is that when your food sweats as it’s drying, the liquid will fall onto the fan potentially damaging it. Power is but one part of what makes this a good food dehydrator. There are in fact several attributes all designed to give you an advantage to dehydrating your food. For example the exterior (called Vita-Save) of the unit blocks light that can cause a loss of vital nutrients in the drying process. Nesco has a patent for their drying process with this machine. It’s called Converga-Flow. It works by forcing the heated air down the exterior pressurized chamber, then individually across each tray. The air then “converges”, hence the name, in the center. The result is a fast, even drying process. Converga-Flow eliminates the need to rotate trays. It also eliminates potential flavor mixing. Will it Fit on Your Counter…? Counter space is always a big concern for my household. We have a small kitchen, so every new appliance has to justify its place. The 4-tray Nesco FD-1040’s dimensions are 15.5 x 15.5 x 9.5 inches and 9 pounds. That’s not small, but there are larger units out there like the Excalibur 9 tray dehydrator. With the value that it will bring you, you can easily justify its position on your countertop. The Nesco FD-1040 is capable of drying up to 20 trays at once thanks to the unique patented processes. The settings automatically adjust according to the number of trays you have. Just like with a slow cooker or rice cooker, your food dehydrator should come with a timer. It’s an essential feature. This provides you with a true set it and forget it experience. So instead running back and forth checking on your snacks, you can rest easy knowing that your dehydrator is busy at work, and will shut off before your food burns. You can program the timer to up to 48 hours. This is a feature available in the higher end units, like the Excalibur. It’s not available in cheaper units like the Presto 06300 Food dehydrator. Quality notwithstanding, the Excalibur brand sells food dehydrators for a lot more without a timer. So just how easy is it for you to clean the Nesco FD-1040? Owners of the Nesco FD-1040 note that it is relatively easy to clean. Though in searching for an answer to this question, we happened upon an interesting tidbit. A few customers stated that the food trays are very delicate, so special care will need to be taken to ensure that the trays do no break. In fact, a few more customers confirmed that concern. The trays are made of thin plastic, so do not use too much pressure when scrubbing. Customers said that these trays can go in the dishwasher without any problems, just do not use the heat cycle. Other respondens said that because of the size, they will not fit completely inside a standard sink. Soaking, of course, makes cleaning much easier. The Add-A-Tray accessory can be used to add more capacity so that your dehydrator can dry more food faster. Roll-up no spill sheets hold up to 3 cups of liquid or puree, alternatively you can use parchment paper as well. If you got “hooked” on the jerky spice packet that came with your purchase you can always get more. Make ground meat jerky with this, just load it up with your meat mixture and spread it onto the tray. After reading through the manual, I thought it had a wealth of information. I mean…it covers a ton of stuff. 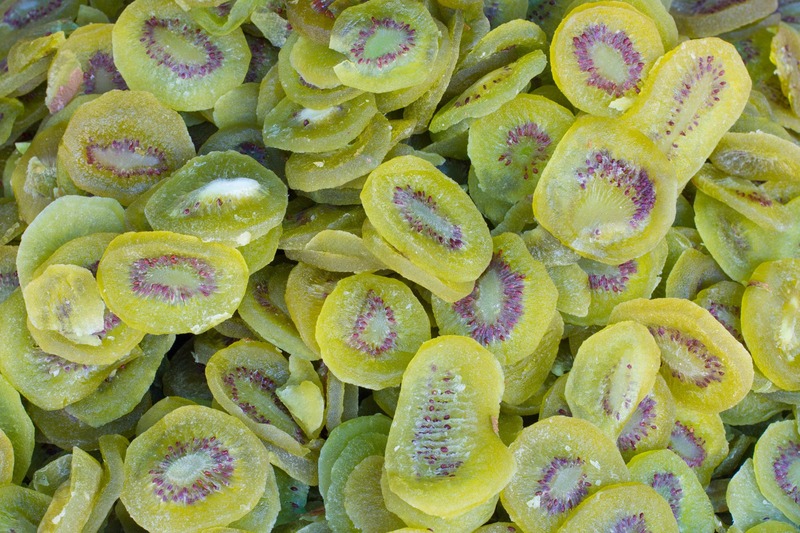 I learned a few things that I had no idea about: did you know that you can just dehydrate canned fruit when fresh fruit is unavailable? Unlike some user manuals, they use bright colors, and the content is broken up with spaces making it easy to read. The manual provides lots of information about prep work. For example, you should soak fruits that brown easily (apples for example) in ascorbic acid before dehydrating. Orange, lemon, or pineapple juice can be used. It tells you the amount of time needed to dry different food items. For example, apples require 4-10 hours. There are recipes (gives you examples of how to use dried foods in your recipes), instructions for drying herbs, etc. We’ve purchased small appliances before with incomplete boring manuals that left us with more questions than answers. This is a good manual. The plastic construction of the trays aren’t of the highest quality. Metal exterior construction would be more desirable, especially considering that this unit gets hot, and could cause the plastic to warp. The warranty is just 1 year, which is standard fare at this price point. More expensive food dehydrators offer longer warranties, but with it you pay much more. I came across some reviews that claimed that customer service was poor. A few users, that received his dehydrator without accompanying trays, claimed that customer service would not cover shipping cost of the new trays. It would’ve been cheaper for them to just purchase new ones. Other customers claimed the complete opposite, stating that their issue was resolved easily when they called. They even claimed to reach a live person instead of menu prompts. The customer service number is 1-800-288-4545. What Do Customers Think About the Nesco FD-1040? There is a lot of customer feedback available for this machine. Of the reviews, there is a variety of people whom have had different experiences. There are many customers that are satisfied with their purchase. There are many customers that are satisfied with their purchase. There are a lot of reviewers that are new to dehydrating and are excited about their new purchase. A few customers bought the Nesco GardenMaster after discovering how bad some store bought doggie treats are. They started using their new toy to create natural healthy treats for their pups. Other customers, after purchasing 2 Ronco brand food dehydrators (that lasted for 15 years), and after considering an Excalibur dehydrator decided to go for the Nesco FD-1040. Surprisingly, they did not mention price as the deciding factor. Instead, they decided to go for the Nesco model because it would take up less space on their counter. Actually, the small foot print (space it takes up) has been a huge advantage that several customers have made mention of. The top mounting of the fan seems to be a very welcome upgrade over the prior models. Maybe that is why there hasn’t been a lot of resistance to the price. Savvy consumers seem to understand the value they get with this machine. Compared to less expensive models, customers say that the Nesco Gardenmaster wins hands down. Surprisingly, it has been rated favorably over more expensive models by some seasoned consumers. The timer isn’t just useful to have, it’s a deal breaker for some customers, as it would certainly be for me. I mean, unless you plan on keeping an eye on your dehydrator for hours, you must have a timer. Experienced users recognize the value in a timer with shut-off. While some have suggested that this is a “light weight” food dehydrator incapable of handling a lot of use, others are putting it to daily use making as much as 5 pounds of jerky at a time. Proof positive that this is a good choice for occasional and regular food drying. I looked at the poor ratings too, just to get a feel for what might be some underlying chronic issues. I’m usually not too concerned with one-off issues, as there will always be defective units that make it into the consumer home. There were a few complaints about the Nesco FD-1040 not working after just a few uses. Some reviewers claimed that the Nesco dehydrator “quit working after the 4th use”, other customers claimed that their unit worked 2-times, then no heat. These could just be defective units or the result of damage during shipping. There is also the possibility of user error or even accidental abuse. In any case, these are issues that should be covered by the warranty. Other complaints were that the dehydration process takes too long, some reviewers said that “sometimes it’s like a 24 hours process to get the fruit to dry completely”. Other customers stated that it did not fully dry kale chips. If these customers did not receive a faulty unit, then perhaps the user did not follow the directions completely. Do yourself a favor, if you buy this food dehydrator or any other, it is very important that you follow the directions in the manual. If you overload the trays or don’t pay attention to the drying times, then you might end up disappointed. Some of the complaints are worth consideration. A few users were disappointed with the number of trays included (four) with the dehydrator. Others say that the trays could be described as a bit flimsy. The trays are made out of a very thin plastic. There is no doubt that these trays could be made a lot better. Certainly, Nesco benefits from customers needing to purchase additional or replacement trays. Overall, the mostly American made Nesco FD-1040 Gardenmaster food dehydrator is a quality machine. While it’s not the most expensive or most high-end food dehydrator, it is certainly a good machine. The manual is very in-depth and very easy to read and understand. The top mounted fan, Converga-Flow technology, and Timer are premium features in an entry-level food dehydrator. There are a few concerns like noise, tray construction, and the number of trays included with the dehydrator. However, given the overall value, the Gardenmaster by Nesco is a great buy in my opinion.